Bearings are the rotating elements of your moving bike components. They allow things like headsets and wheels to turn or spin smoothly and freely. Every bike will have bearings in it somewhere. If yours have become worn out, notchy or graunchy, you need new bearings. You have bearings for all sorts of components, hubs, headsets, shocks and pedals. 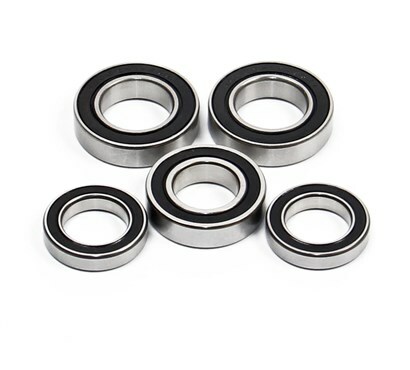 They three main types are loose ball bearings, needle bearings and cartridge bearings – you just have to make sure you get compatible ones for your component. 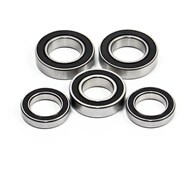 Other than any compatible components you might need, most bearings need a bit of grease. For best results, use long-lasting bike-specific grease. It’s crucial you get the right sort of bearings for your components. Check brands, sizes and model numbers to be sure.